A couple weekends ago Mandy, Zeba and Eleni and I headed out on a girls weekend away. 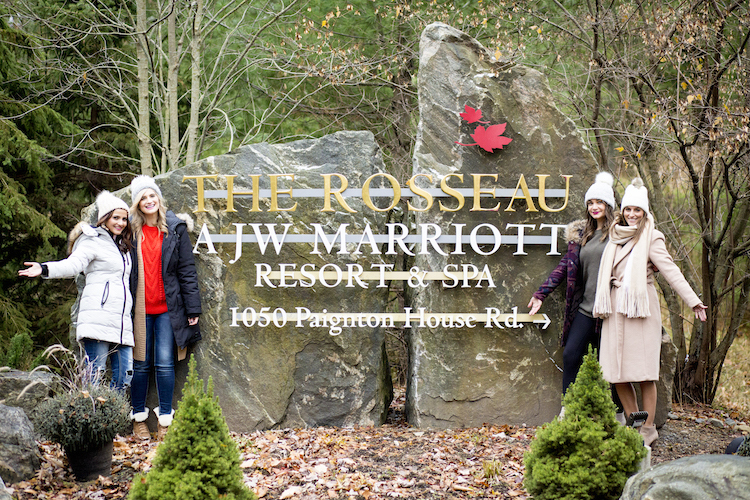 We had been waiting for a weekend like this forever so when we had the opportunity to work with the JW Marriott The Rosseau Muskoka Resort & Spa there was no way we could pass that up. We packed our bags (lots of bags), some snacks and some wine and hit the road! 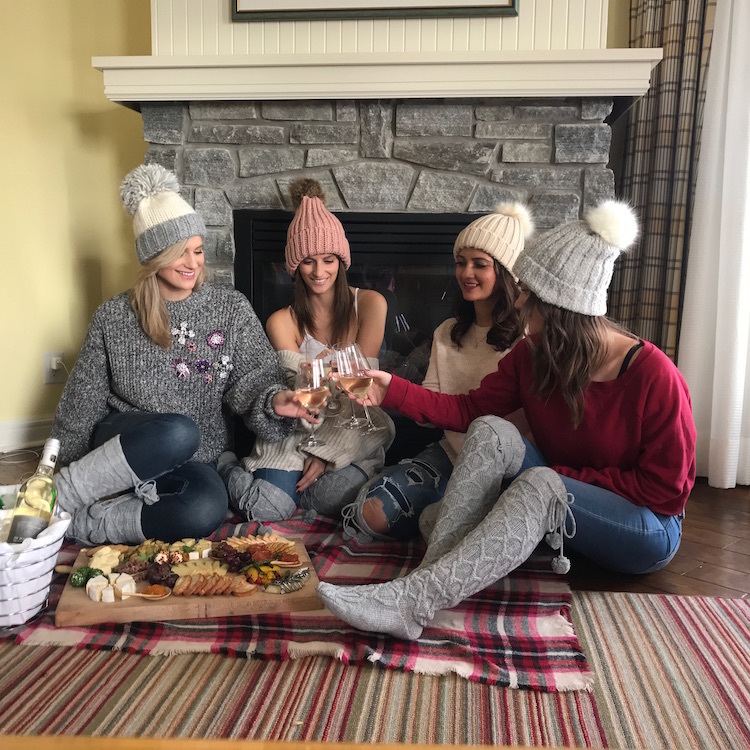 The JW Marriott The Rosseau Muskoka Resort & Spa is located about 2 hours North of the GTA and is the perfect getaway for a girls weekend or even with your beau. With four girls you could imagine the amount of bags that we had. Even for a weekend, I’m pretty sure we set a record for the most amount of clothes but a girls got to have options right? 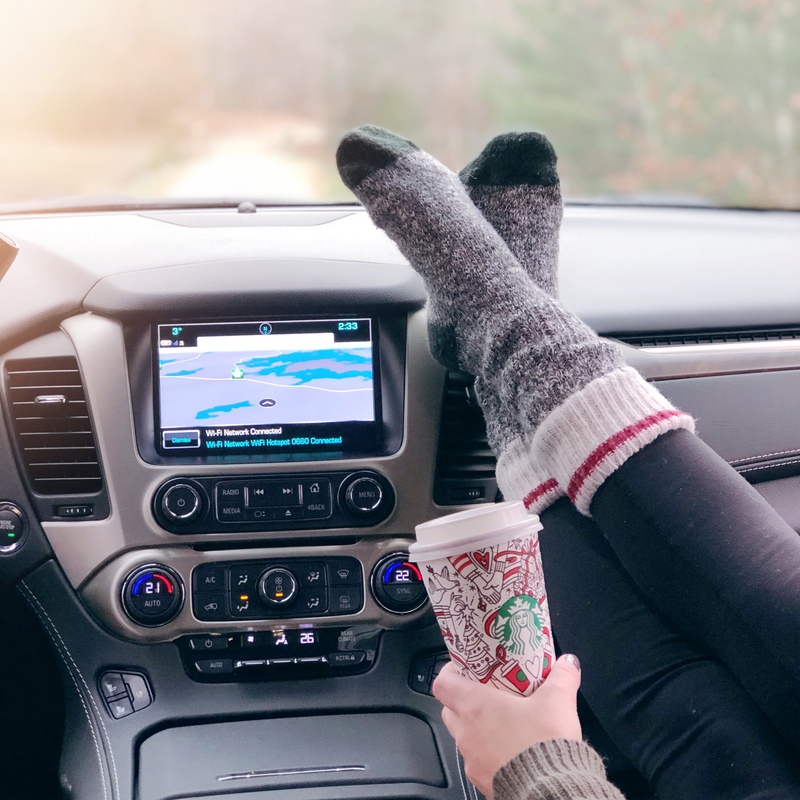 We partnered up with GMC for the trip up and were able to borrow a 2018 GMC Yukon XL. The amount of space the GMC Yukon XL offers is amazing. I seriously don’t think we would have been able to fit all our luggage into any of our own vehicles. In addition to the storage space, the Yukon offered OnStar 4G LTE Wi-Fi Hotspot and OnStar Turn-by-Turn Navigation. For a bunch of bloggers that are bad with directions, these two features were lifesavers. We also took advantage of the heated seats, cooling seats and the keyless entry. After arriving at the JW Marriott Muskoka we checked into our 2 Bedroom Executive Suite. If you watched our insta stories you would have seen the full tour already. The room offered 2 bathrooms, 1 King Bed, 2 Queen Beds, pull out sofa, a full kitchen and a massive balcony that overlooked the lake. Did I also mention that it had a fireplace? If you’re ever looking to book a room for a bachelorette this would be your room. As mentioned, there’s a full kitchen that offers everything you need to make a meal right in your room. In total, the resort has 221 rooms which include a studio with a King, studio with two queens, one bedroom suite, two bedroom Jr. suite and two bedroom executive suite. All rooms come with a fireplace and kitchenette. In addition to the room, the hotel also offers an indoor and outdoor pool, fitness area, free wifi, a luxurious spa and more. As mentioned above you do have the option of bringing your own food and cooking it in your room. However, the resort also offers many dining options. 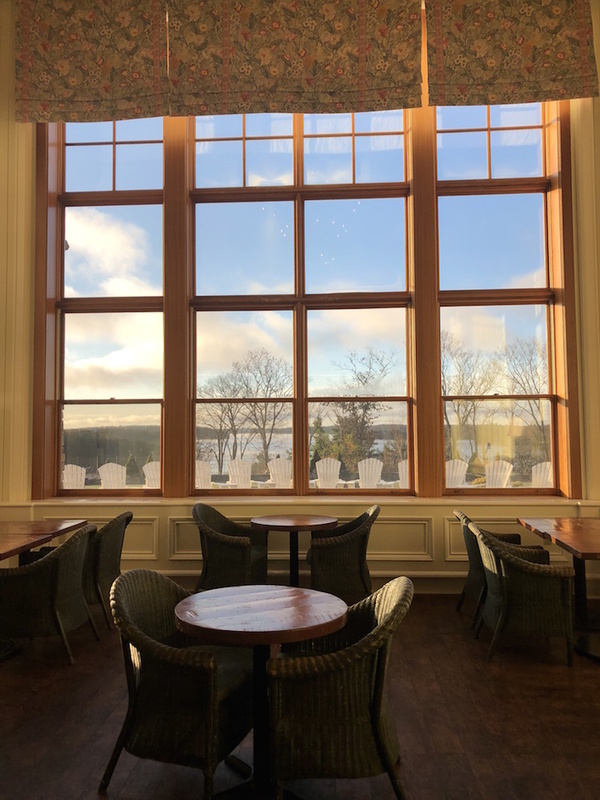 The JW Marriott Muskoka offers a cafe, continental and buffet breakfast options, a chophouse, Italian restaurant and more. They also offer room service which we took full advantage of when we first arrived ordering two plates of fries! After a long day, it was nice to just sit back and eat in our room while watching some chicky movies. The next two mornings we headed to Cottages Resturant in the resort for breakfast. The first day I got the Egg white frittata which had smoked Gouda, portobello, asparagus, tomato and a baby spinach salad. 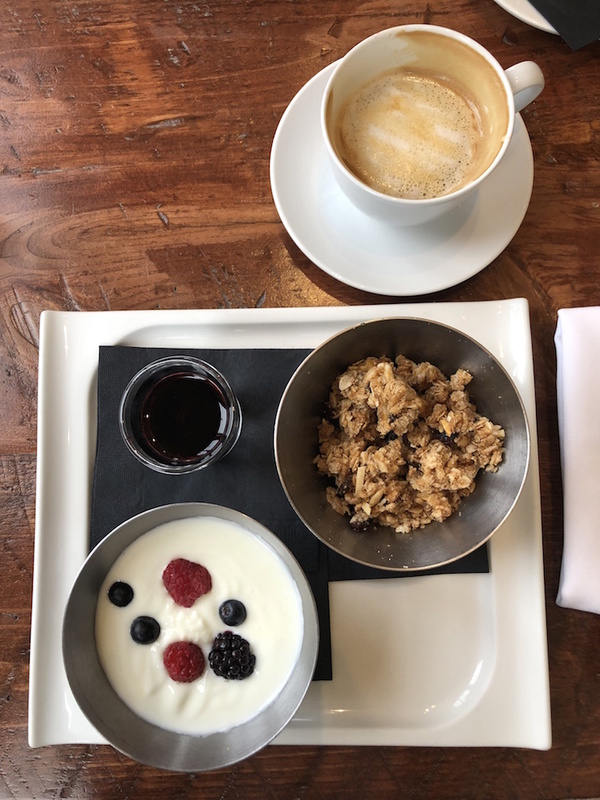 It was good but I’ll have to say after a recommendation, the 2nd morning I ordered the Vanilla probiotic yogurt with granola parfait and loganberry sauce. The chef makes his own granola in-house and with the pairing of the logan berry sauce it was AMAZING. Even writing about it now makes me want it. I highly recommend getting it for breakfast alongside a latte from the Country Market Resort Shop And Cafe. As for dinner, we dined at the Teca “Simply Italian” restaurant. It was a hard choice between the Roast Beetroot and Goat Cheese Risotto and Italian thin crust pizza but in the ended I opted for the Risotto. Yes, it was purple in colour but it tasted delicious. We also got to try a few of the appetizers – I suggest the Tomato Melon and Bocconcini Salad for a starter. For dessert, you can’t go wrong with any of the options. The best thing about the restaurants the JW Marriott Muskoka offer is that they can accommodation much much any food restriction you have. If you don’t see anything you can have on a specific menu just talk to your waiter and they will assist! Also, special thank you to JW Marriott Muskoka for the stunning cheese board and wine that was sent up after our spa session! The Spa! I wish I could have spent all day there. 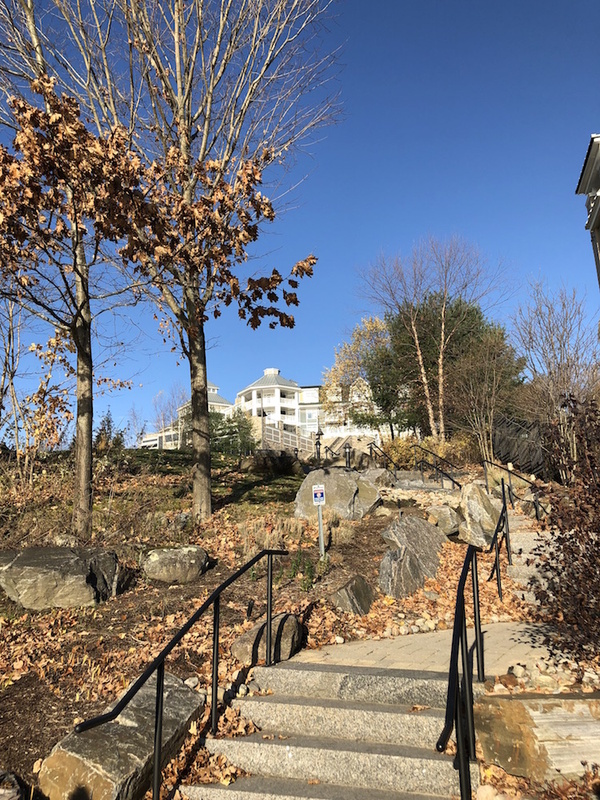 Spa Rosseau offers a variety of different spa treatments and the best thing is if you have an appointment you can use all the spa facilities for the rest of the day. Once you check in you’re given a locker and swap your clothes for a cozy bathrobe and slippers. Inside the spa you have full access to the relaxation rooms (co-ed and woman’s only), steam room, thermal bath as well as showers and all the amenities you need to get ready for the day. 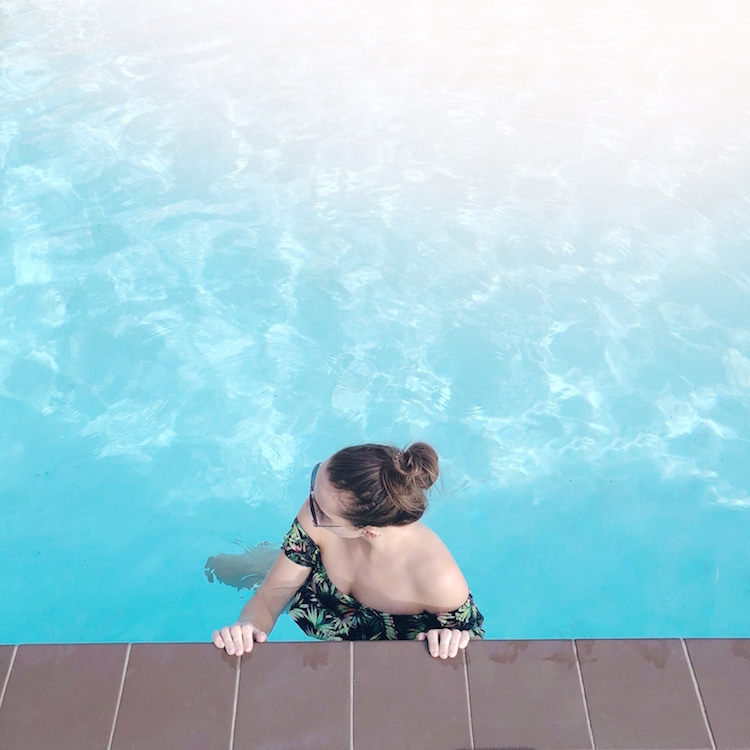 During the warmers months, there’s an outside pool and lounge chairs that you can use. 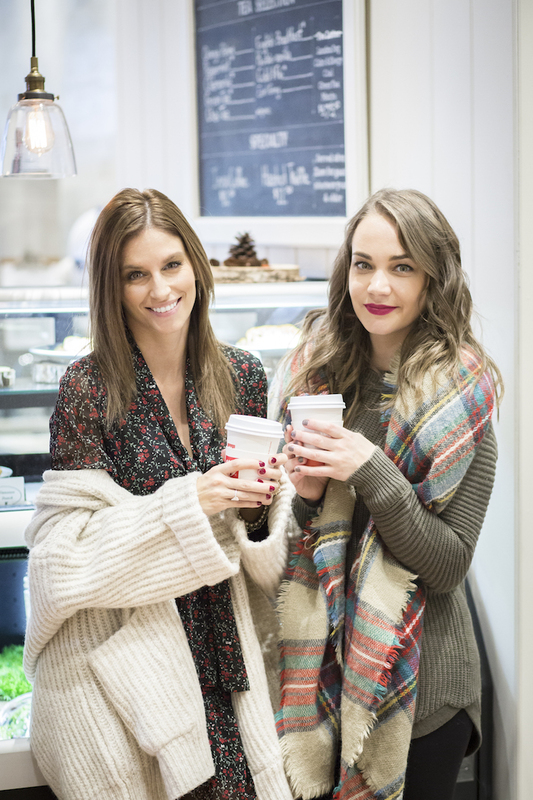 Each of us tried a different spa treatment so make sure you head to Mandy’s, Zeba’s and Eleni’s blog to read about their experience. As for me, I tried the Ginger-Coconut-Argan Sugar Glow (Experience the aromas of the earth. This treatment begins with a citrus-kombucha body wash followed by exfoliation with ginger and lime-scented sugar cane. Warm coconut-argan oil infused with avocado oil, apricot oil, rose hip, and Vitamin E is slowly drizzled on to the body for superior hydration, nourishment, and total body relaxation). The treatment left my skin feeling soft and my body fulling relaxed. Not the mention the amazing showers the spa offers – I could have spent all day in there! With endless options, there is something for everyone. From the outdoor/indoor pool to activities for the kids, everyone will be kept busy. There’s also a games room that offers ping pong, pool and more. In the lobby, there are tons of lounge chairs for a relaxing nightcap or place a game of chess by the fireplace. 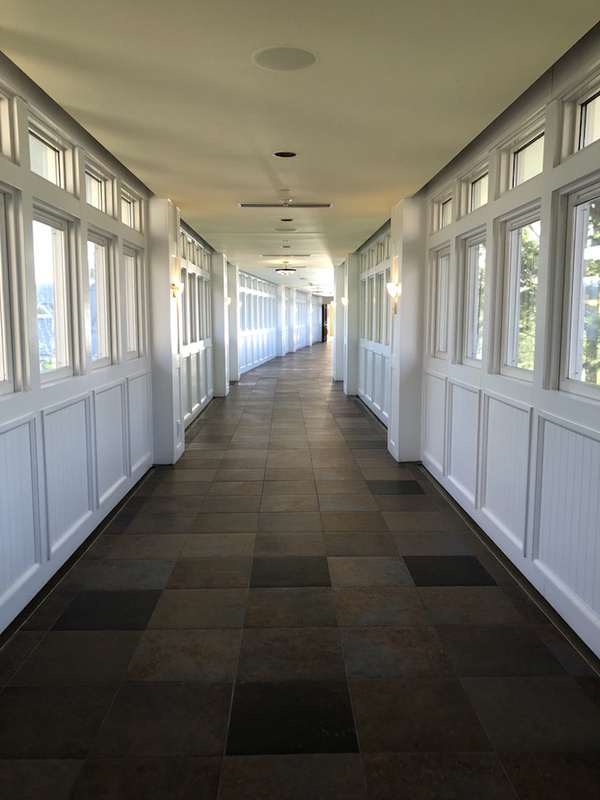 The hotel also offers snowshoe treks, snowmobiling, astronomy sessions, art workshops and more. Just a reminder that some of these activities do cost extra. We did have one favourite activity – the smores package! The package includes everything you need to make delicious smores right out front of the resort. It may have been messy but it was a lot of fun! Lastly, if you’re looking for anything to do off the resort check out this page for Local Activites. If you’re into wine, take a little trip and visit the Johnston’s Cranberry Marsh. You’ll get a tour of the marsh and then the chance to try a few of their most popular wines! 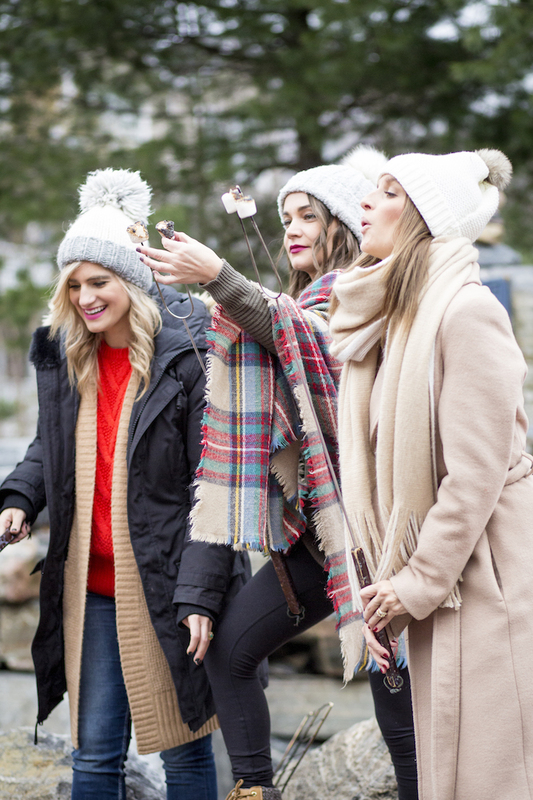 Read our other Girl’s Getaway in Toronto here.